Your cruise starts as you leave the port of Palma on board the EUROPA 2. Mallorca’s small neighbouring island will welcome you with Mediterranean charm. As a UNESCO biosphere reserve, almost half of the island is protected as a conservation area. Albufera National Park* and its paths are just as enticing as a kayak tour* through the Bay of Fornells. A horseback ride* through the pine groves also offers you the chance to take a dip in the sea. Idyllic nature, the party scene or culture – immerse yourself in the island’s casual lifestyle: with a cocktail at one of the famous beach clubs, a wander through the trendy boutiques of Ibiza town or an independent excursion to San Antonio with its many eateries along the harbour promenade. A city full of options just waiting for you to discover them. Swim at Malvarrosa beach, take an inspiring tour* or choose an excursion to Albufera Natural Park* and taste the typical paella. Enjoy Valencia with its mix of futuristic buildings, a central market with over 1,000 gourmet stands and the Virgen de los Desamparados cathedral. Explore the streets with a sporty tour by Segway*. The city where Picasso was born is also the ideal starting point for a scenic journey* to the old royal city of Granada with a visit to the legendary Alhambra* to marvel at its Moorish architecture. An alternative option for wine connoisseurs is an excursion to the Andalusian village of Mijas* with wine tasting in a bodega. An authentic Andalusian atmosphere awaits you in the old town with its African influences, small streets and baroque churches. Discover the labyrinth of streets in Seville*, full of excellent tapas restaurants and flamenco bars. Neighbouring Jerez* is home to magnificent horses and fine sherry. The best way to get to know the bustling winding streets of the old town is on foot with a guided tour* to the hidden architectural gems. Take the Gloria funicular up to the Bairro Alto. Enjoy an unparalleled view over the lower parts of the city from the upper town. 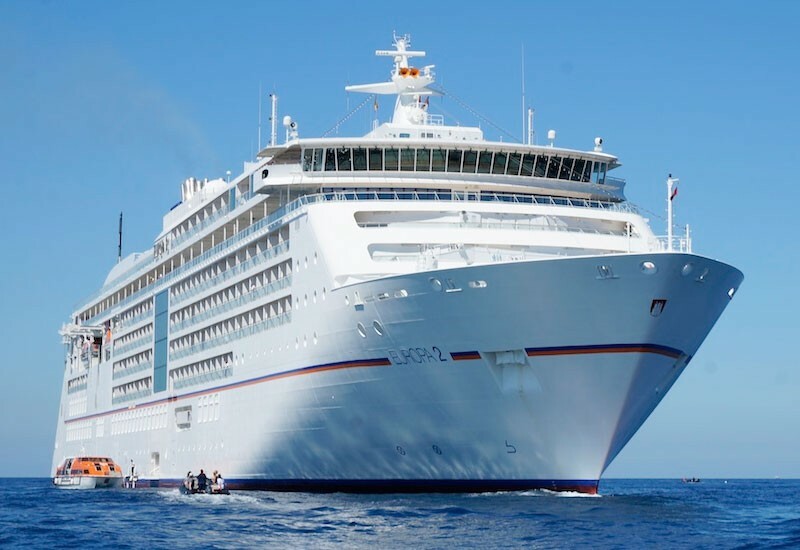 After one last night on board, your cruise with the EUROPA 2 ends in Lisbon. Explore Lisbon in comfort and eco-friendly style on a city tour by electric tuk-tuk*.